In 2015 we observed a number of investor-state disputes initiated by Ukrainian companies (mostly Privat / Kolomoisky’s group of companies) against Russia under the Russia — Ukraine BIT, seeking redress for the loss of assets and profits as a result of the annexation of Crimea and illegal seizure of their property by Russia. This trend continued in 2016 when new claims against Russia were brought by Oschadbank and Naftogaz (together with its subsidiaries) over their Crimean assets. Moreover, though Russia denies the jurisdiction and does not participate in any such arbitration proceedings under the Russia-Ukraine BIT, it has been widely reported in 2017 that UNCITRAL tribunals issued their unanimous awards on jurisdiction in disputes brought by PrivatBank, Everest Estate, Belbek and others v Russia, and proceeded to consider the cases on their merits. This is regarded as a clear sign of a growing number of disputes under the Russia-Ukraine BIT and other BITs. We continue to observe a trend for increasing expansion of disputes in Europe (including Ukraine), Russia, Middle East and Latin America related to energy and natural resources, including investor-state and commercial disputes related to, inter alia, pricing in LTG, Transmission and LNG contracts. In 2016-2017 we also noted an increasing number of quite unique arbitration cases that are attractive for Ukrainian practitioners, where Ukrainian law governs contracts while foreign rules of arbitration (LCIA — 3, SCC — 2) would apply to the procedure and administration. Hopefully, this trend will continue and, thus, the workload for Ukrainian arbitration practitioners acting as counsels, experts and arbitrators will also grow. And last but not least, 2017 may become a significant year for the development of the international arbitration practice in Ukraine in view of the following factors. First, in March 2017 new Draft Law No. 6232 amending the procedural laws was submitted to the Ukrainian Parliament to accomplish the pending judicial reform. In particular, the Draft pioneers the introduction of such remedies to be obtained via the national courts such as disclosure and discovery of evidence, witness examination and interim measures in support of international arbitration in Ukraine and abroad in an attempt to develop an arbitration friendly jurisdiction in Ukraine. Second, following recent revisions & updates of its rules by the leading international arbitration centres, the International Commercial Arbitration Court at the Ukrainian Chamber of Commerce and Industry (ICAC Ukraine) initiated revision of its 2007 rules of arbitration in 2016. The new ICAC Ukraine Rules are expected to be approved in 2017. During 2016 the well-regarded arbitration team of Sayenko Kharenko acted as counsel and Ukrainian law adviser in over 15 cross-border disputes and arbitral proceedings under a variety of institutional rules, including those of the ICC, LCIA, SCC, the Netherlands Arbitration Institute and UNCITRAL Arbitration Rules, for a total amount exceeding USD 6 billion. In particular, the firm represented the State of Ukraine in an Energy Charter investment arbitration initiated by the minority shareholders of PJSC Ukrnafta under the Arbitration Rules of the Arbitration Institute of the Stockholm Chamber of Commerce; and representing Ostchem Holding Limited in court proceedings in Ukraine against PJSC Odesa Port Plant in respect of recognition and enforcement of the Partial Award by Consent on collection of undisputed debts and penalties. Arbitration lawyers served as party-appointed and institution-appointed arbitrators as well as presiding arbitrators in over 20 arbitrations seated in Kyiv, Minsk and Vienna. The team is led by partner Tatyana Slipachuk, FCIArb, C.Arb. Counsel Olexander Droug has gained endorsements for his strong involvement in the arbitration practice. Arzinger maintains positions among leading international arbitration teams on the Ukrainian legal market. 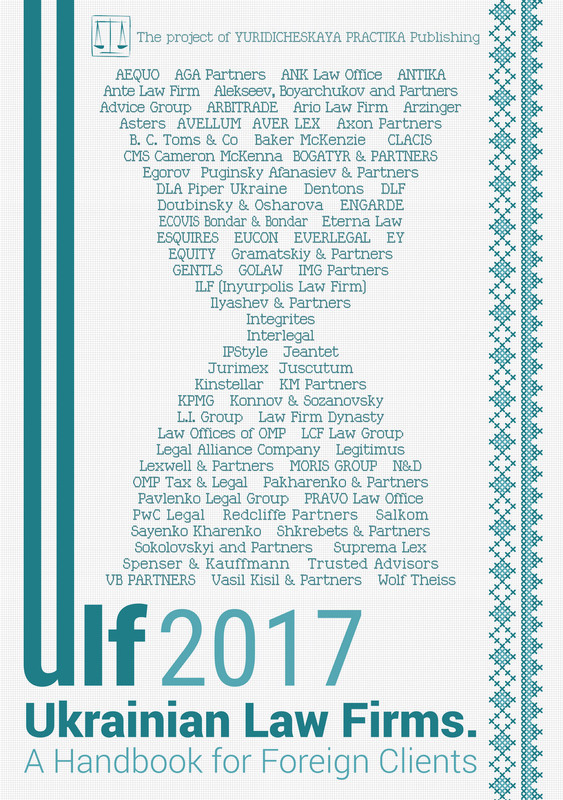 The firm demonstrates expansion of its caseload of international disputes, representing, inter alia, the State of Ukraine in investment arbitration disputes, and a list of commercial arbitrations. For example, the firm acts as an arbitration counsel of Ukraine in an investment dispute under the ICSID rules on the lawsuit filed by Dutch investors seeking recognition of Ukraine’s breach of obligations under the bilateral agreement on the protection of investments between Ukraine and the Netherlands for the protection of investments in the banking sector as well as obtaining the appropriate compensation is last year’s highlight project. Lviv-based partner Markian Malskyy is known for his extensive practice. Oksana Karel is another important practitioner at the practice. The growing arbitration team of Integrites is one of the busiest on the Ukrainian market and includes 3 arbitration partners and 8 associates on board. The firm added to its portfolio large multijurisdictional matters, and has a particular focus on disputes involving CIS parties. The firm’s portfolio of arbitration cases includes arbitration and arbitration-related project under the rules of major arbitration centers, including ICSID, LCIA, SCC, ICAC (Kyiv), ICAC (Moscow), GAFTA, etc.). Proactive Olena Perepelynska, President of the Ukrainian Arbitration Association, is the head of CIS international arbitration at Integrites. Partner Vsevolod Volkov is another key figure for arbitration matters. The team was strengthened by the arrival of a new London-based partner, Ivanna Dorichenko, FCIArb, who joined the team after 7 years of practice in various London law firms, most recently at Clyde & Co, to head the trade and commodities practice. Last year was a period of sustainable growth for AEQUO’s arbitration practice. The firm represented the interests of clients in 15 arbitration proceedings according to arbitration rules of the SCC, American Arbitration Association, LCIA, ICC, ICAC Ukraine, ICAC Russia with the claims total exceeding USD 70 billion (including one of the top highest-value international arbitrations in the world). The team, together with Three Crowns LLP (London office), represented Ukrainian net-worth-individuals — shareholders of a large Ukrainian distribution holding, in eight related arbitration proceedings at the LCIA against a large Ukrainian distribution holding and its beneficial owners claiming dividend payments and specific performance. In particular, the firm represented Forbes Media on a number of issues related to its American Arbitration Association (AAA) arbitration proceeding against United Media Holding N.V., Forbes’ former licensee in Ukraine, in the termination of its license agreement. The practice is supervised by managing partner Denis Lysenko and partner Oleksandr Mamunya. Pavlo Byelousov, counsel, is a key practitioner in arbitration matters, who also acts as an arbitrator. International arbitration and cross-border litigation practice at Vasil Kisil & Partners possesses developed expertise in handling complex large stake matters, having represented clients in international and investment arbitrations under major arbitral rules. Last year the team acted as Ukrainian counselor for Ukrainian businessmen Igor Kolomoisky and Gennady Bogoliubov in a major corporate dispute against another well-known Ukrainian businessman Viktor Pinchuk in two disputes: before the High Court of Justice in London regarding the payment of dividends and transfer of shares of one of the major Ukrainian Iron Ore Works and before the LCIA regarding the payment of dividends to the shareholder of the biggest ferroalloy holding. Oleg Alyoshin is lead partner with a growing portfolio of high profile cases. Asters team is rapidly reaffirming its standing on the international arbitration arena. The firm handled disputes under a wide range of arbitral bodies and assisted its clients in enforcing foreign arbitral awards and judgments in Ukraine. One significant case is acting as a local counsel for Quinn Emanuel Urquhart & Sullivan LLP, lead counsel acting for Oschadbank JSC, regarding protection of Crimea-related interests and rights of JSC Oschadbank and the recovery of losses incurred by Oschadbank through an international investment protection mechanism against the Russian Federation (the value of claims is around USD 1.4 billion). Managing partner Oleksiy Didkovskiy leads the team. Yaroslav Petrov, counsel, is a prominent practice figure. Experienced Dmytro Shemelin (previously worked in Ilyashev & Partners) joined Asters as a counsel. Throughout 2016 ARBITRADE continued to strengthen its arbitration practice, adding to the list proceedings before VIAC, ICC, CAS and ICAC at the UCCI. Last year brought many successes in the completed arbitral proceedings, a number of positive awards have been received in cases arising out of trade in commodities. The firm also continues to act in investment arbitration proceedings at ICSID. Bright Yuliya Chernykh, of counsel, acted as an arbitrator in more than 30 cases in Ukraine and in foreign arbitral institutions. Andriy Shulga, partner, heads the practice. AGA Partners is known in agribusiness arbitration, and in the main handles cases at GAFTA and FOSFA arbitration institutions. Last year the firm handled about 25 arbitration processes within GAFTA, FOSFA and LMAA institutions coming to a total of USD 80 million. The firm’s clients include: COFCO Agri, ADM, MHP, EFKO Group of Companies, Spike Trade, Industrial group Vioil (Ukraine), RZ Agro Private Company, KZ Agro, AgroFood, Silgosproduct, Fergus Kazakhstan and others. In 2016 AGA Partners developed their practices of international investment arbitration and sport arbitration, where they have several new clients, including Dynamo BC. The lead partners team includes Aminat Suleymanova, Ivan Kasynyuk and Irina Moroz. AVELLUM is noted for the rapid development of its commercial and investment international arbitration as well as cross-border litigation. Respondents note the team’s experience and successful track record. Dmytro Marchukov is lead partner. Serhii Uvarov, senior associate, is active in arbitration circles. Engarde’s strong practice of international arbitration is traditionally highly referenced by market players. The team represents clients in a range of complex arbitration regulations, including ICC, LCIA and the SCC. The firm’s recent caseload includes high stake arbitrations of strategic importance. Top arbitration professional Irina Nazarova is the front of the practice. Partner Roman Ognevyuk acted as legal counsel in disputes under ICC Arbitration Rules. Kinstellar opened in Kyiv in March 2016 and rapidly reaffirmed its market positions in international arbitration and cross-border litigation, acting as legal counselor for wide range of reputable clients in a series of international arbitration, around USD 1.3 billion of total value. The firm advised majority shareholders of Nemiroff Vodka Limited on LCIA arbitration on a claim initiated by minority shareholders and Stockman Interhold S.A., a former investor of Sky Mall shopping mall in Kyiv, on a major shareholder multijurisdictional dispute that involves around 30 sets of litigation proceedings. The Kyiv team is also involved in a USD 550 million multijurisdictional shareholders’ dispute, involving assets tracing and fraud investigations. Managing partner Kostiantyn Likarchuk leads Kinstellar’s global dispute resolution practice. Mykyta Nota, managing associate, is another key figure of the arbitration practice. CMS Cameron McKenna is noted in both investment and commercial arbitrations. The team stands out on the market for its unique expertise in energy disputes. The firm recently acted for leading international clients, in particular acting as a Ukrainian law counsel for JKX Oil & Gas plc in the SCC arbitration proceedings brought against Ukraine under the Energy Charter Treaty over gas market restrictions and punitive taxation measures imposed by Ukraine, including obtaining the first ever emergency award against Ukraine. Senior partner Olexander Martinenko acts as an expert witness on Ukrainian law issues in numerous investment arbitration proceedings. Olga Shenk is an important team member. Egorov Puginsky Afanasiev & Partners Ukraine international arbitration and cross-border litigation practice has built a solid reputation worldwide. They are experienced in all international arbitration rules and have successfully represented clients in various international ad-hoc and institutional arbitrations. Managing partner Serhii Sviriba is year on year named one of Ukraine’s authorities in this area. Partner Markiyan Kliuchkovskyi is highly regarded on the market and referred for his sports arbitration track record. The leading dispute resolution team of Ilyashev & Partners combines its domestic litigations skills and representation of clients in foreign courts and arbitration institutes. The firm represents the interests of SE Antonov in the arbitration dispute with Libyan Arab Air Cargo in the ICAC at the UCCI regarding arrears for the maintenance of aircraft in Kyiv. Another highlight is representing the interests of the Creative Group in a number of international arbitrations and foreign courts proceedings in disputes with an international consortium of banks under the management of UniCredit Bank regarding the collection of loans from group companies. The firm represented shipowner Cormorant Maritime Limited in eight parallel arbitration proceedings at LMAA regarding the failure to pay for freight. The practice is overseen by partners Mikhail Ilyashev and Roman Marchenko. Eterna Law is traditionally among the busiest market players. The sizeable team receives instructions from clients in agribusiness, energy, banking sectors, IT companies and state enterprises. Among the recent public projects is representing Ukrenergy Trade in arbitration at the VIAC in a dispute with a Ukrainian state company arising from breaches of long-term electricity supply agreements for the export of Ukrainian electricity, and representing the client in GAFTA arbitration proceedings arising from the respondents’ failure to perform a contract of sale. Eugene Blinov, partner and head of the international arbitration department, remains one of the key figures in arbitration in Ukraine. Oleh Beketov, partner and head of international litigation, is acknowledged as a competent expert. Lexwell & Partners’ team led by managing partner Andrey Kolupaev, acted in both commercial multijurisdictional litigation and investment disputes. The firm is Ukrainian law counsel to Naftogaz of Ukraine PJSC in international arbitration proceedings regarding a corporate dispute with minority shareholders of Ukrnafta PJSC. The firm also acted as a co-counsel to the Ukrainian Government in lingering investment arbitrations initiated by JKX Oil And Gas plc and its subsidiaries before the arbitration institute of the SCC; and is a co-counsel to the Ukrainian Government in the Krederi Ltd v. Ukraine investment dispute initiated at the ICSID. The firm represented the interests of Eltax Rubber Trade Corporation in arbitration proceedings in Stockholm ICC, in a debt collection case on commercial contracts with companies belonging to the Metinvest Group. The Kyiv office of Baker McKenzie has been providing legal assistance to clients in complicated disputes, including handling complex cross-border matters. Amongst others, the firm represents international and Ukrainian clients in commercial disputes as to the international sale and purchase of goods and services, corporate rights and real estate, investment protection, real estate and mortgage matters, etc., and acts on recognition and enforcement of foreign arbitral awards. Partner Ihor Siusel heads the dispute resolution practice group in Kyiv. Young domestic law firm EVERLEGAL is currently developing its international arbitration practice. The team is representing the interests of a Ukrainian subsidiary of one of the world’s largest snacks companies in an international arbitration dispute regarding supply of goods; acting for a Lithuanian major travel supplier company before the ICAC at the Chamber of Commerce of Ukraine in arbitration disputes with a major freight forwarding company that provides services in the field of railway container transportation regarding breach of a freight forwarding contract. Dispute-focused partner Andriy Porayko heads the practice. Dynamic young Ukrainian law firm Trusted Advisors, is focusing on dispute resolution, including commercial arbitration. The team defended the interests of a leading Ukrainian agricultural trader at the Court of Arbitration of the GAFTA. In June 2016 Ivan Lishchyna, previously a partner and head of international dispute resolution practice, was appointed to the position of Government Commissioner for the European Court of Human Rights, which meant the practice passed under the leadership of managing partner Ivan Mishchenko. In 2016 ANTIKA was instructed for representation in the Arbitration Institute of the Stockholm Chamber of Commerce and German Maritime Arbitration Association. Managing partner Alexey Kot is also enlisted as a Ukrainian law expert in investment arbitration. 2016 brought a workload for the Redcliffe Rartners’ multiple dispute resolution practice. In particular the team has been instructed as Ukrainian counsel relating to an investment treaty arbitration under the ICSID Rules. Partner Sergiy Gryshko, a vivid arbitration and litigation lawyer, leads the practice. The dispute resolution lawyers at Marchenko Danevych represent multinational and domestic companies in complex commercial arbitration cases, including construction arbitrations. The team also has a strong focus on investor-state disputes, currently representing French and US investors in two tax/regulatory and pharma/IP investor-state disputes with Ukraine. Partner Oleh Marchenko, known in the main for his many years practicing tax, reprofiles in dispute resolution and arbitration. N&D (since 2016 an independent Ukrainian law firm, previously a member of Andreas Neocleous & Co International LLC) has gained a reputable clientele and project portfolio, acting previously in debt collection and debt restructuring disputes. Thus, the firm represented a client in the London Court of Arbitration in a multimillion debt collection dispute; and Investohills Capital before the International Commercial Arbitration under the Ukrainian Chamber of Commerce on a debt collection dispute under credit obligations. Enforcement of arbitration awards is an important area of practice. Igor Kravtsov is head of litigation and arbitration. Managing partner Andriy Dovbenko acted as key practitioner in the majority of projects. GoldenGate Law Firm is a Kyiv-based boutique whose main specialization is sports law and resolution of sports-related disputes at international arbitration (mostly CAS and FIFA). Landmark projects include representation of Ukrainian athletes in appeal proceedings before Court of Arbitration for Sport on the decision of the IBU on alleged anti-doping rule violation. Additionally, the firm has also handled a number of commercial arbitration cases. Partner Anton Sotir is a key figure at the firm. Grischenko & Partners has a long history of being among the oldest domestic arbitration counsels working on investment arbitration cases. Partner Sergei Voitovich is traditionally named among the most reputed practitioners in Ukraine. Odesa-based LeGran.TT wields specialized experience in settlement of maritime-related disputes as well as maintenance of trade arbitrations. In particular, the firm represented Black Sea Commodities Ltd in a dispute under FOSFA with Libyan buyers of sunflower oil, which alleged that the cargo did not meet contractual quality and refused to perform part of the payment. Tatiana Titarenko, managing partner, is the key individual. Dentons extends its position in arbitration, being instructed for representing the interests of clients in disputes related to energy sector, commercial and corporate relations. Kyiv office based managing partner Oleg Batyuk is a prime contact. KM Partners provides legal support through arbitration proceedings, recognition and enforcement of decisions of foreign courts and commercial arbitrations in Ukraine. The team, led by Alexander Minin and Maxim Oleksiyuk, is referred to represent in debt recovery cases under foreign economic contracts, as well as in Ukrainian courts on recognition and enforcement of arbitral awards. The team’s tax expertise is an advantage. The arbitration work at Law Offices of OMP is led by partners Valeriy Bitsuk and Mykola Orlov. Proceedings at the UCC Court of International Arbitration and LCIA are part of its recent portfolio. The Ukrainian and Turkish offices of Interlegal acted for Zaporizhya Abrasives Works upon enforcement of an award by ICAC at the UCCI against a Turkish debtor, acting as a buyer under a sales contract. Attorneys’ Association Gestors acted as legal advisor to Chornomornaftogaz with regard to controversial issues in the return of the Titan-2 crane vessel to its owner. In 2016 Aleksey Pukha and Partners represented Israeli company Hawk Aviation LTD in court settlement of disputes and in international commercial arbitration in connection with the failure of counterparty contract terms in a supply agreement.